Can a local, homegrown startup take on the international powerhouse? Could small-town warriors compete with multinational corporations? Esha Chhabra, Forbes Contributor says, “Yes” in her article, “How This Small Canadian Tea Company Built A Business Amidst Serious Competition”. 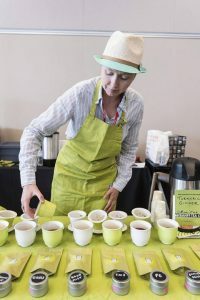 She has beautifully captured the growth journey of a small tea company in Canada – how the business owner did not simply give up and embarked on changing the world through her unique offerings. Smith’s passion to serve her community’s needs more effectively has been a driving force behind her business growth. Please take a look at her article and share your insights. Are you one of the business owners who are looking to provide unique offerings while effecting a positive change in the world? Do you love bridging gaps and opening up exciting opportunities for your business? In Banff, a small town famous for being the epicenter of Canada’s first national park, one small business is in competition with a boulevard of brands and multinational corporations, namely Starbucks. Can a local, homegrown startup take on the international powerhouse? Rather than building another remote venue, albeit iconic, she was keen on creating community.